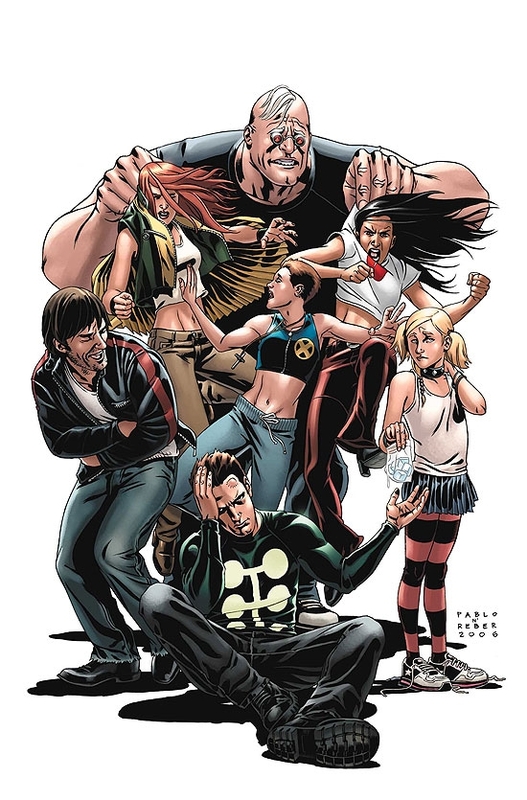 Strong Guy is the alias of Guido Carosella, a fictional Character in the Marvel Comics universe. 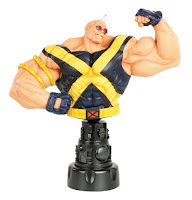 He was created by Chris Claremont and Bill Sienkiewicz in New Mutants (July 1985), and was reinvented as Strong Guy by Peter David and Larry Stroman in X-Factor (October 1991)...More about Strong Guy (Marvel Comics) Character Review - keep reading !! Early life - Born in Rhinebeck, New York to working class Italian parents, Guido Carosella gained a fortune in a settlement when his parents were killed by falling space debris. Skinny and shy, Guido's mutant powers were triggered in childhood when an incident with schoolyard bullies and being hit by a bus ended in his body becoming disproportionately large and over-muscled, separating the already withdrawn boy even further from his peers. He had the love and support of his aunt and uncle, who took him in after his parents' deaths. Guido coped with his emotional and physical pain caused by his mutation, by developing an outgoing "public face", rarely letting even those close to him see him in any discomfort. During the incident with the bus, another boy, Charlie Ronalds, was hurt by Guido's flailing. Due to luck, Charlie survived with only a slight limp. He would later become the villainous Charon. Lila Cheney and Muir Island - After losing much of his fortune, Guido began to take on jobs that would allow him to maintain his luxurious lifestyle. This leads to Guido becoming the long-time roadie and bouncer for the mutant musician Lila Cheney. While working as a bodyguard for Lila, he met Cannonball and Magik of the New Mutants. He later found Dazzler near Lila Cheney's Malibu house, and helped rescue Dazzler from drowning. He then found the injured Lila Cheney when she teleported back to Malibu, and accompanied Cheney to seek help from the X-Men. 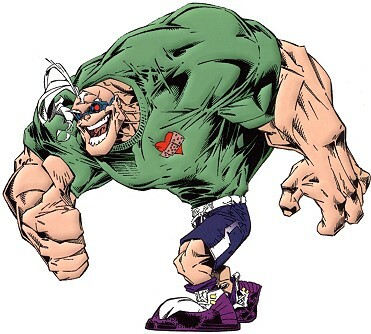 Guido was later among the mutants living on Muir Island who were mentally controlled by the telepath Shadow King. In order to satiate his bloodlust, the Shadow King encouraged arena fighting amongst the Muir Island personnel. Guido receives a serious beating at the hands of Rogue. 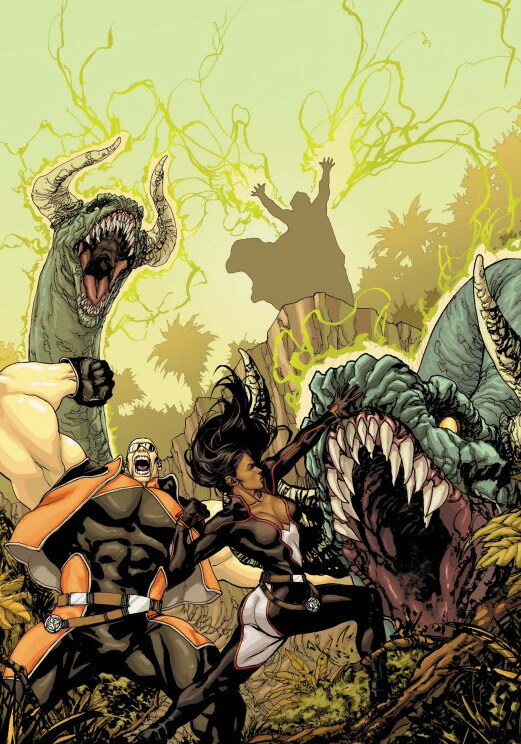 After the Shadow King was defeated, several of the Muir Island mutants, with the help of Val Cooper, were recruited to form a new X-Factor team. 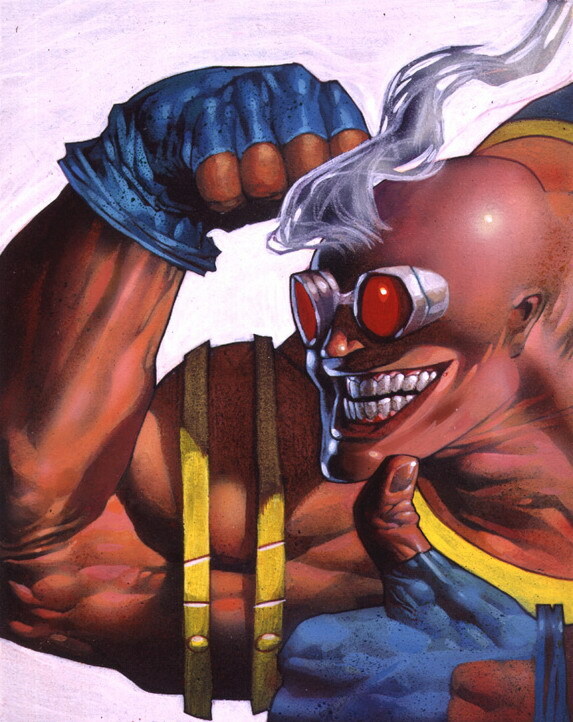 Storm: Arena - Strong Guy was later seen in Tokyo as a member of a mutant fighting club called the Arena, in which the mutant fighters were being secretly enslaved by other mutants. He helped Storm and Callisto in taking down the enslavers..
Strong Guy possesses superhuman strength which he can increase by absorbing kinetic energy and use it to enhance his physical strength to an unmeasured limit. However, he cannot store the energy he absorbs for very long; as a rule he must physically expend the energy within 90 seconds to prevent it from permanently distorting his body. He is in constant pain from the existing distortion, although he hides it well, traditionally playing the role of team comedian to distract himself. Guido also possesses superhuman stamina and durability. An unusual percentage of his body mass is stored in the upper half of his body, causing him to appear top-heavy and thus very imposing. Strong Guy's powers first appeared after being beaten by bullies and hit by a bus; unable to expel the energy, his body was permanently warped. Strong Guy's maximum strength level is such that he has sufficient power to move the Blob, or briefly stand toe to toe with the Hulk, although the latter's rage enhanced strength was so powerful that the energy of channeling merely one blow put Strong Guy in danger of a heart attack afterwards. Guido is formidable at street fighting-style hand-to-hand combat. Guido has a gifted intellect, and is a talented musical comedy actor and stand-up comedian. He has earned a Bachelor of Arts in drama from New York University. Strong Guy is nearsighted and wears corrective "bottlecap" lenses. Strong Guy appears in the X-Men episode "Cold Comfort". He is seen as a member of the X-Factor team led by Forge. He also makes a brief cameo during the two-part episode "Sanctuary". Additionally, Morph briefly assumes Strong Guy's form during the episode "Courage."